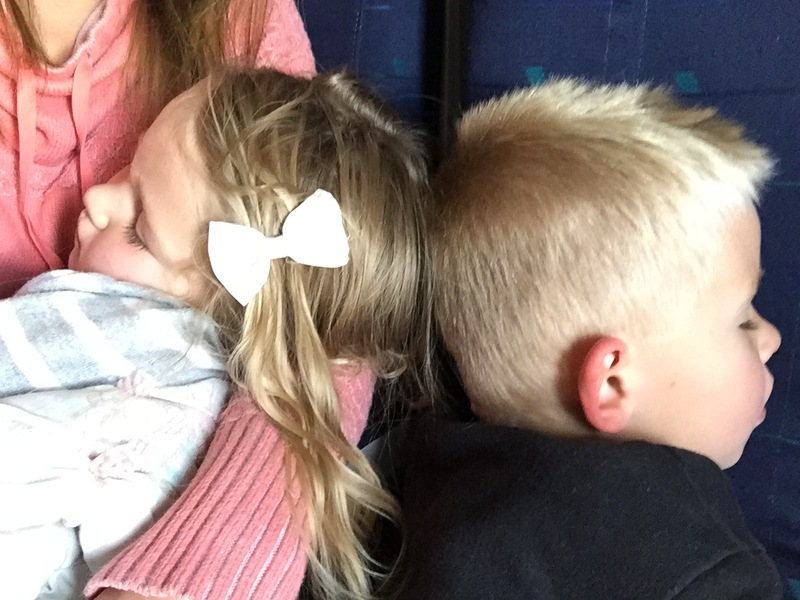 My dad took the kids and I to the airport this morning while Rich enjoyed the extra hour of sleep (cue day light savings) at home. We couldn't get tickets from the same airlines so we came home separately. 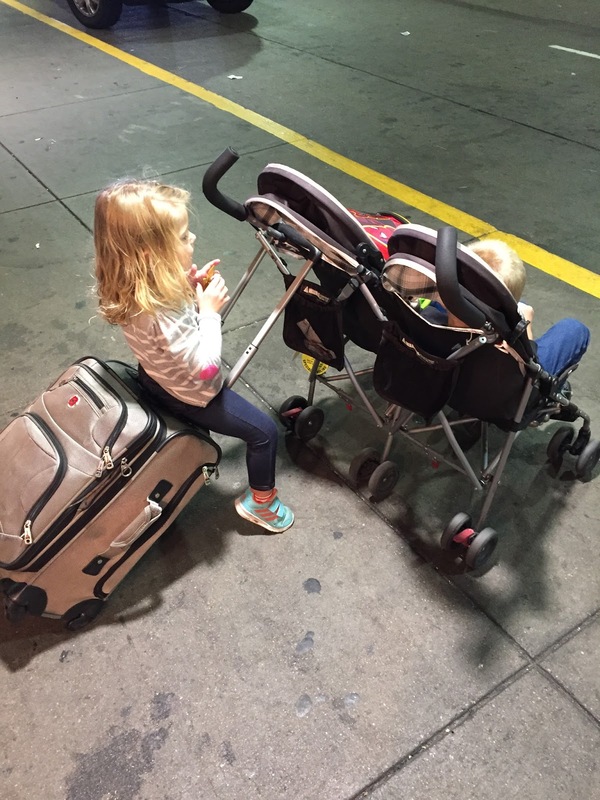 The older the kids get the easier it is to travel with them-- we've almost graduated from not needing a stroller at all! Anyway, my dad parked the car and walked us to security where we said goodbye. ^^how Macey demanded to travel to passenger pick up, hah. It's always great to visit but I'm so grateful we get to call Colorado home. Horray for sleeping children on your flight home as you solo parent! Happy you had a good trip to Minnesota - although it would have been nice to have warmer weather - bbbrrrr.